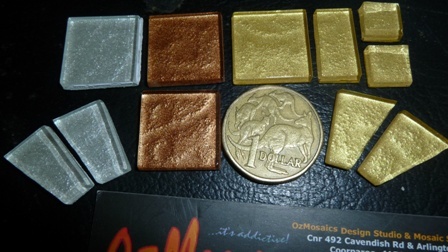 Sandy loves Laticrete Products and here is another mosaic must have! 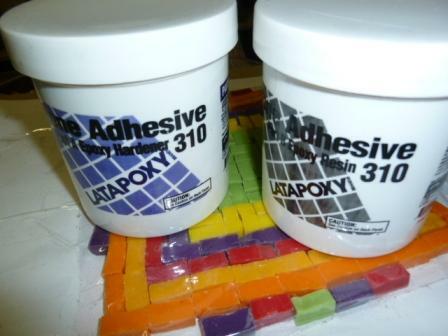 Stone Adhesive Epoxy Resin 310 Non Sag! Mix resembles a putty paste. For spot bonding stone, marble and ceramic tiles. The mixed product is fantastic to use as a mosaic adhesive and you will never regret having this product in your mosaic glue kit. -Colour: off white when mixed. 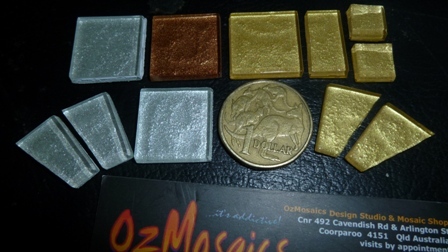 -May be coloured with dry pigments!!! -Combine equal volumes Parts A & B. -Mix with margin trowel or putty knife on flat surface. -also available in RAPID SET. 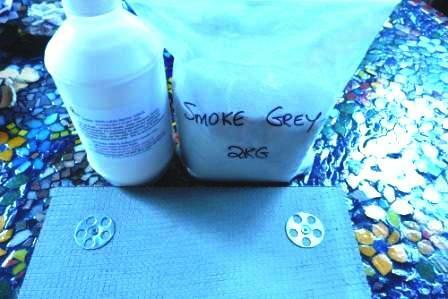 Sandy loves this product and uses it in many wonderful mosaic ways! 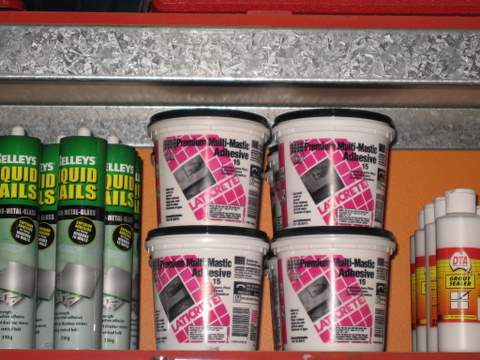 Perfect for working on vertical mosaic surfaces and more!